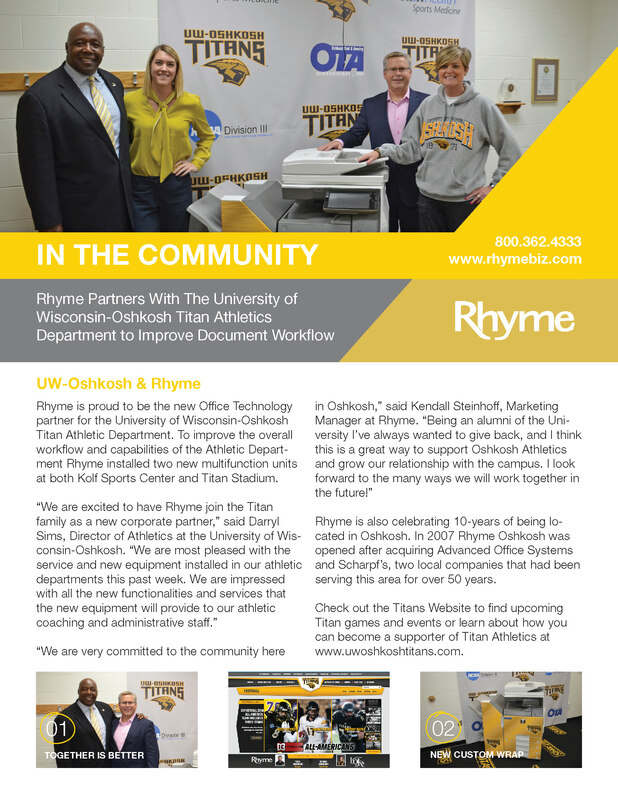 Rhyme offers a variety of products for all government agencies, healthcare facilities and educational institutions. We have a dedicated State of Wisconsin Account Manager that is knowledgable in providing an assessment of your needs, right-sizing your fleet and streamlining your ordering process with an easy, one-stop-shop for purchasing agents. Whether you're looking for multi-function devices, desktop printers, or interactive displays, Rhyme has the products you need and a history of unmatched support. Rhyme has partnered with Sourcewell and NASPO to offer the best pricing without the hassle of the bidding process. By working with these cooperative purchasing organizations we are able to focus on price, quality, reliability, warranties, and service while protecting states’ interests with favorable terms and conditions. State agencies can benefit from the lower administrative costs of processing solicitations by leveraging Rhyme's expertise and eliminating the need of repetitive bid preparation expenses to more efficiently achieve their business goals. All of our contracts are awarded with full competition and full transparency. We protect your interests with favorable terms and conditions and competitive pricing. 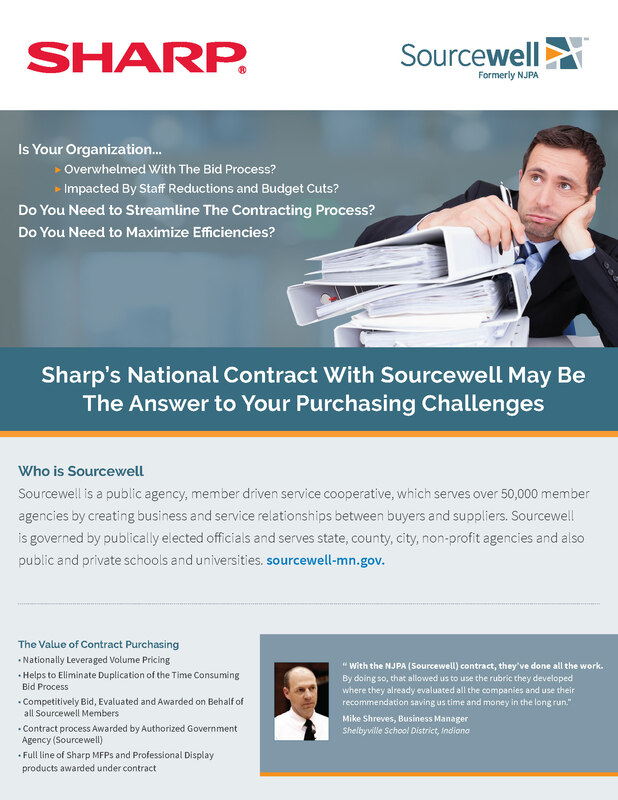 Helps to eliminate duplication of the time-consuming bid process. Contracts process awarded by authorized government agencies. Full line of award-winning office products, including MFPs, AQUOS BOARD® Interactive Display Systems and Professional Displays. Aging Office Equipment can be costly to fix & service and drag you down in terms of workflow & productivity. Learn about Rhyme’s “Evolution” process and how we can help keep your organization ahead of the technology curve. New technology can reduce the cost of printing, and at the same time bring improved functionality.